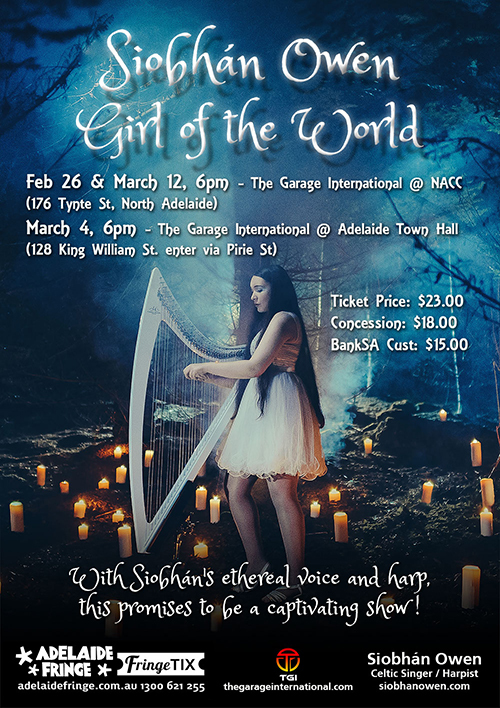 After another 6 months touring Europe, Siobhan returns to Adelaide to perform some of her favourite songs from around the world, along with a tale or two from her travels. From heart wrenching traditional Celtic ballads to Japanese anime songs. You’ll be taken on a beautiful musical journey by Siobhan’s exquisite, emotive voice. This is a Fringe show not to be missed! Previous Post EXCALIBUR the Celtic Rock Opera Next Post Girl of the World Success!